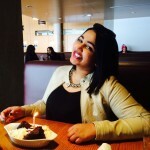 FoodWithBai is a new foodie feature on tamilyouth.ca that explores and reveals the various aspects of cooking, in particular dishes loved by the Tamil community. 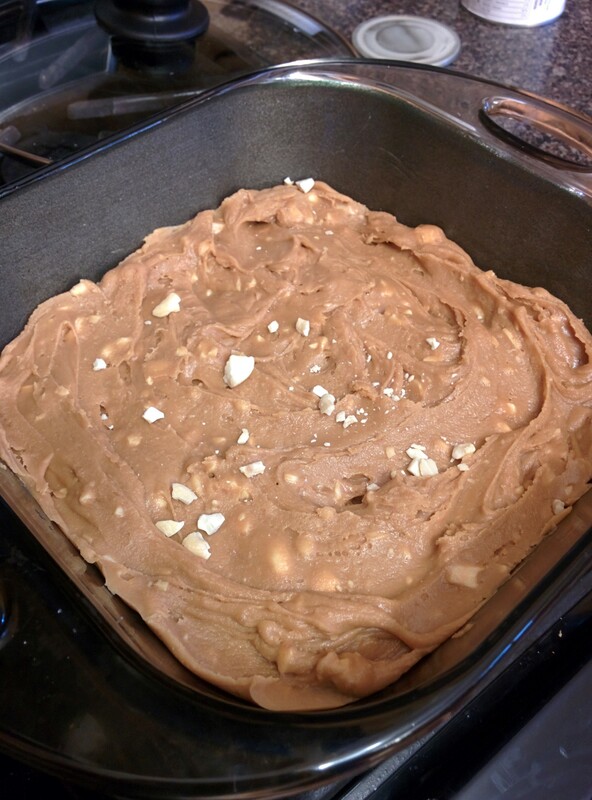 Today, we have a recipe to make delicious milk toffee! Milk toffee is a staple candy found in Tamil cuisine, made of gooey condensed milk that has been caramelized. It is loaded with nuts and other spices/flavours. 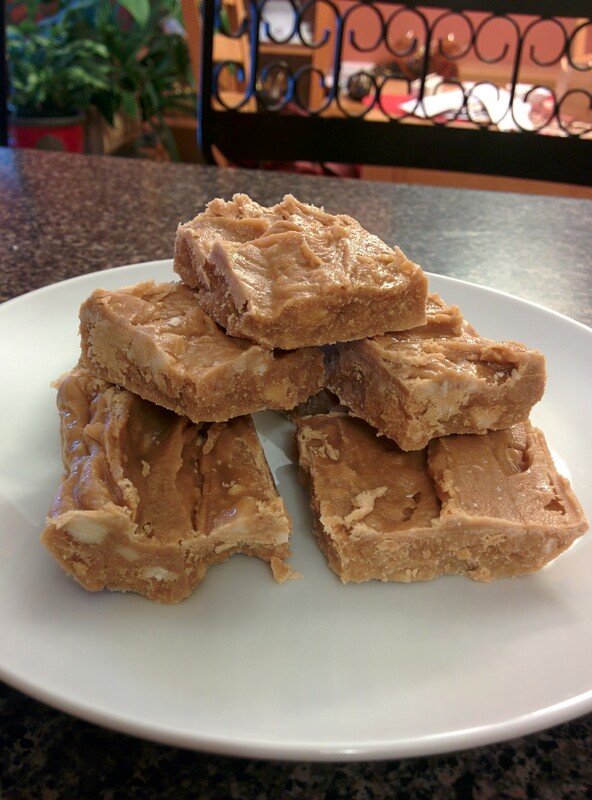 It is similar to the taste and texture of fudge, but more crumbly and melts in your mouth! It is a favourite to both the young and old, and always a nice treat to go with your afternoon tea or coffee, or to be offered in a dessert spread after a traditional Tamil meal. 1. 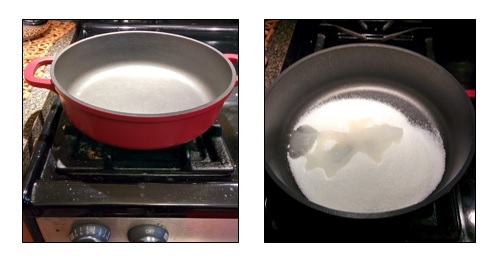 Heat a non-stick pan at medium-high heat, add the sugar and water into the pan, and heat for approximately 5 minutes, mix with a wooden spoon or non stick spatula. 2. 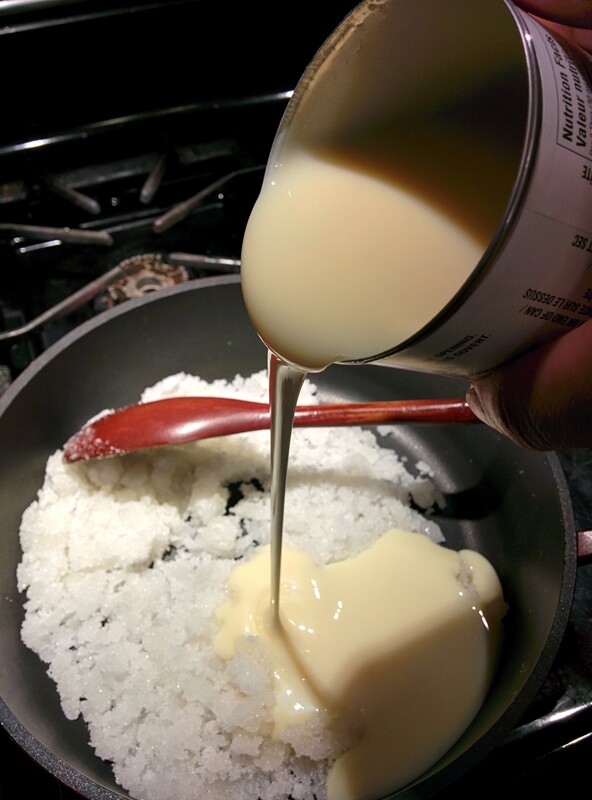 Add the condensed milk and continuously mix for another 7 minutes or so. 3. 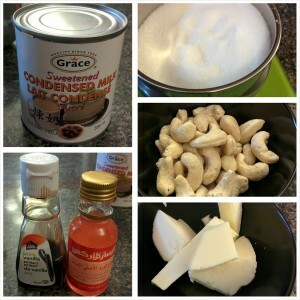 Add the chopped cashews to the pan and continue to mix for another 7 minutes. 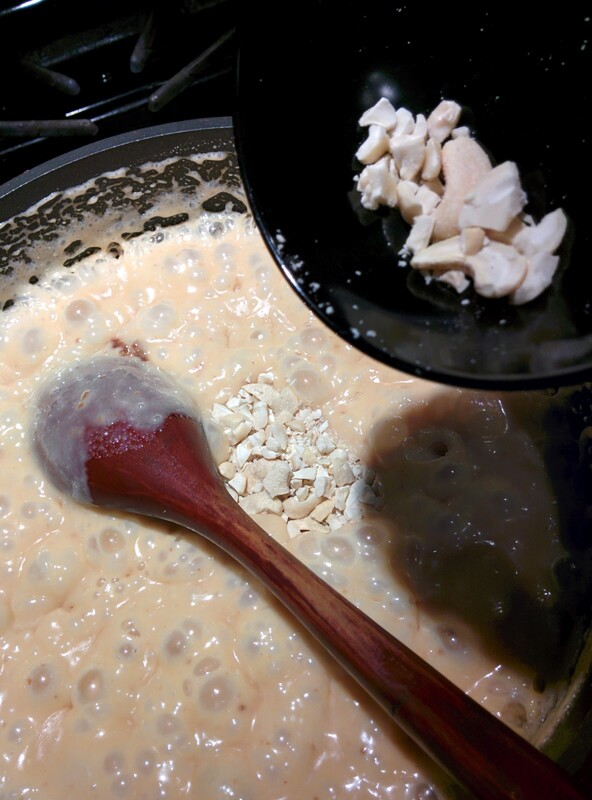 The colour of the mixture should slowly be turning brown (caramelizing). 4. 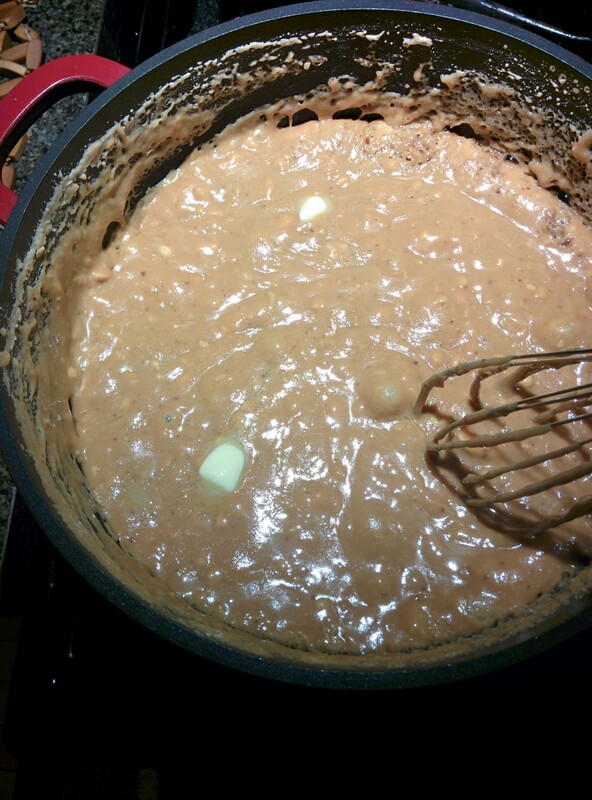 Add vanilla extract and rose essence and mix for about 1 minute, or until you see the toffee coming together and becoming a milky caramel brown colour. 5. Once the milky caramel brown colour is achieved, add the 1 tbsp. of butter and mix for another minute or so. 6. 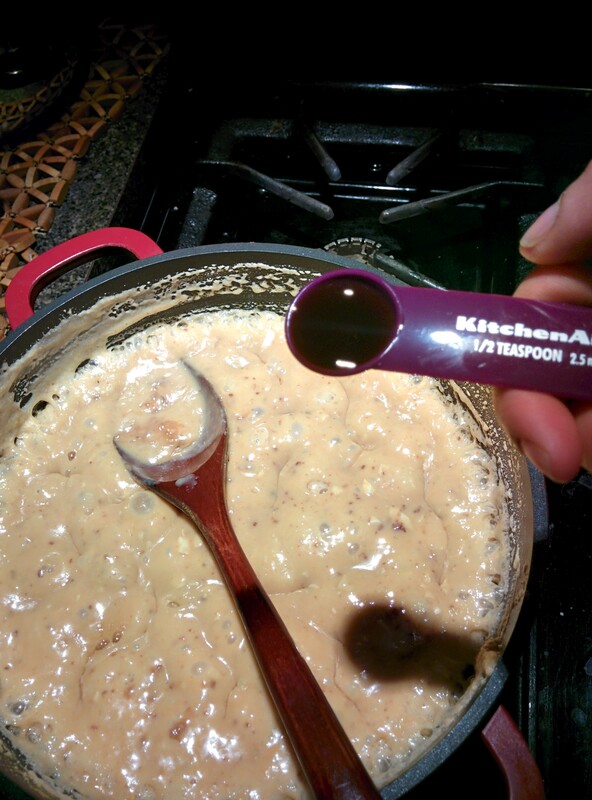 Pour the contents into the buttered tray and flatten with the back end of a spoon. 7. Allow the toffee to completely cool. Once cooled (about 30 minutes or less if placed in the fridge), cut up into pieces and enjoy! Tweet us @CanTamilYouth with pictures of your milk toffee with the hashtag #FoodWithBai! 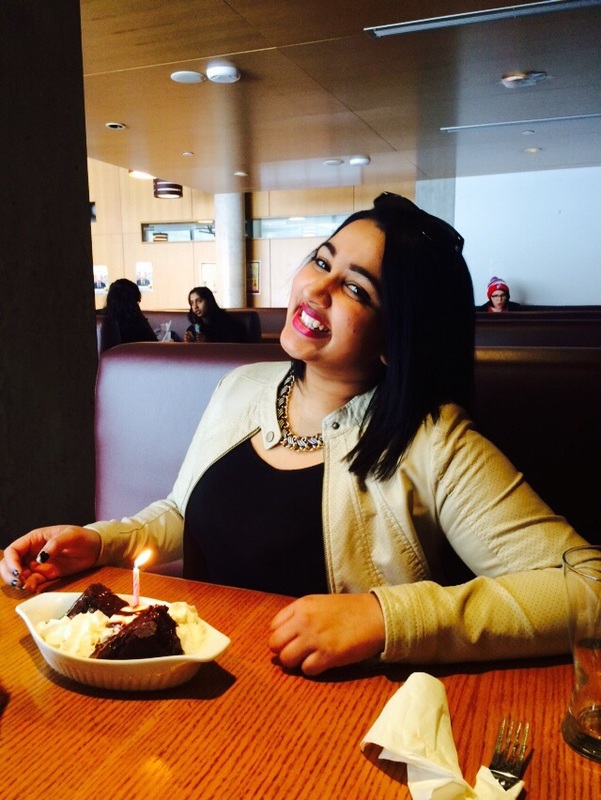 Bairavi Sripalan is a Toronto girl with a strong passion for cooking and all things food related. She grew up being inspired by the Food Network and her mom as she cooked daily in the kitchen. She has admired how balanced flavours and ingredients create beautiful dishes. She believes that with cooking, there is always something new to be learned, tried, and experienced. You can follow Bairavi for more updates @foodwithbai! This entry was posted on Monday, March 16th, 2015 at 5:16 pm	and is filed under Cafe. You can follow any responses to this entry through the RSS 2.0 feed. You can leave a response, or trackback from your own site.